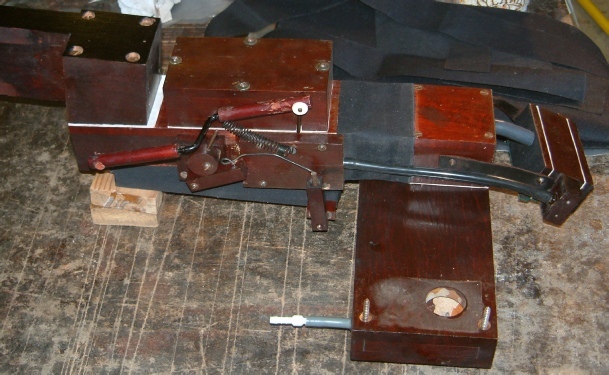 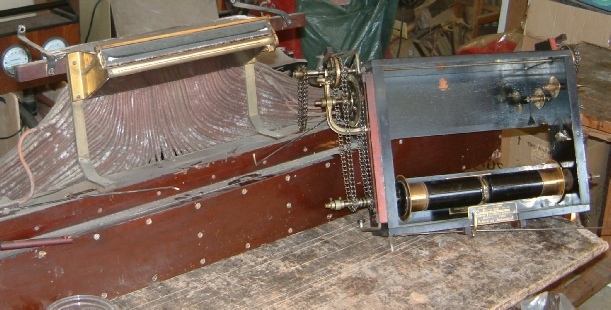 The windmotor regulator from the Angelus action undergoing reassembly after restoration of it’s component parts. 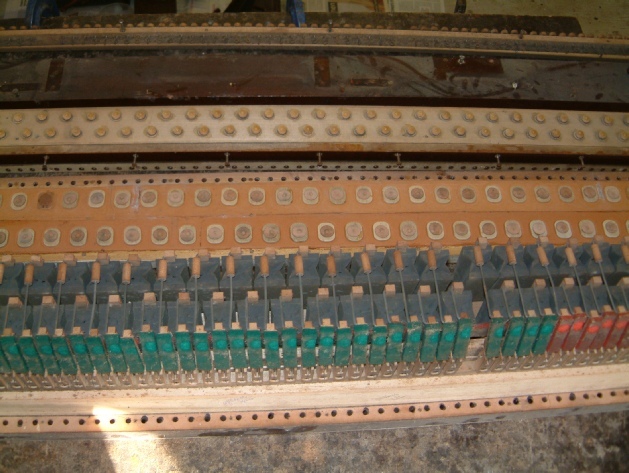 A very different design to the more commonly seen Aeolian type. 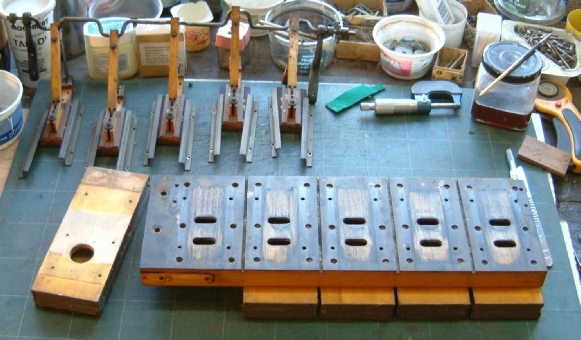 glued and difficult to take apart. 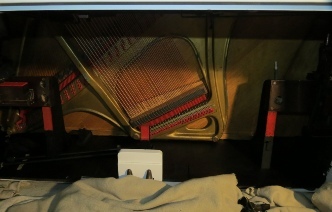 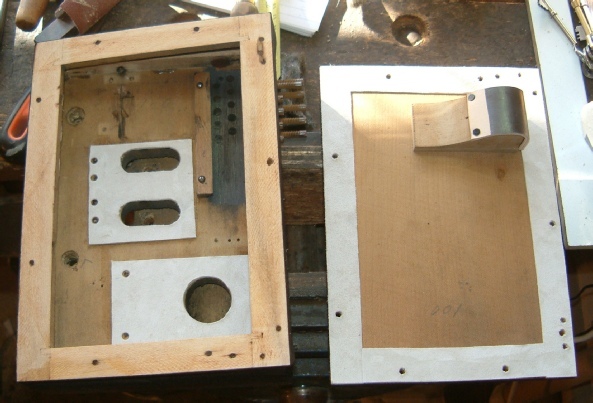 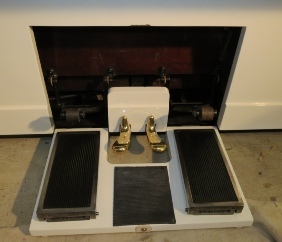 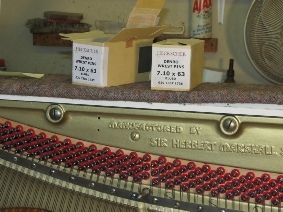 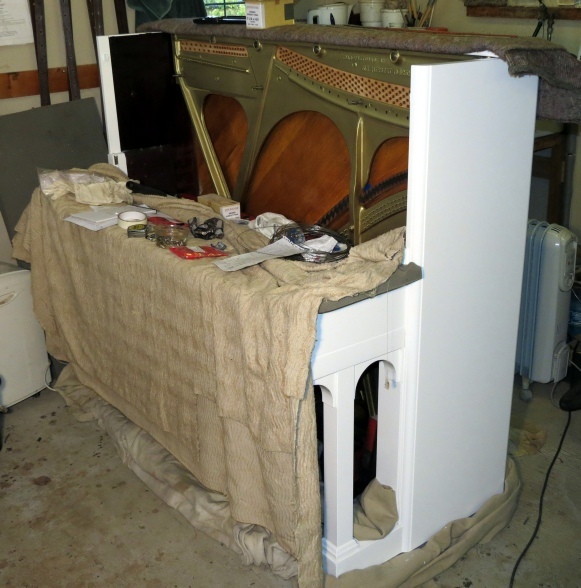 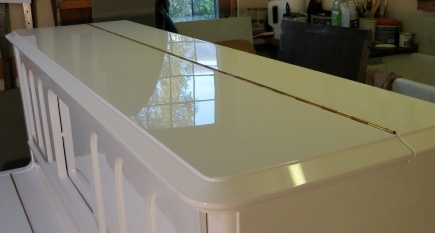 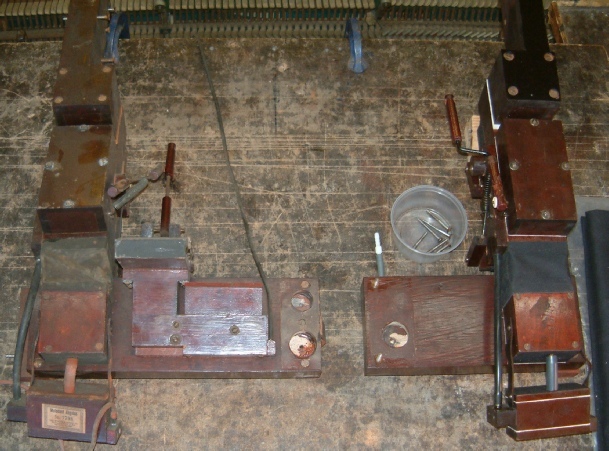 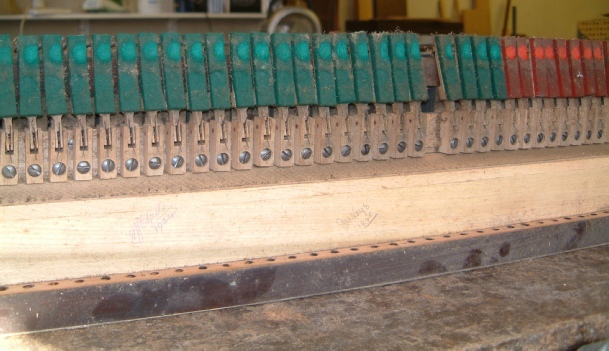 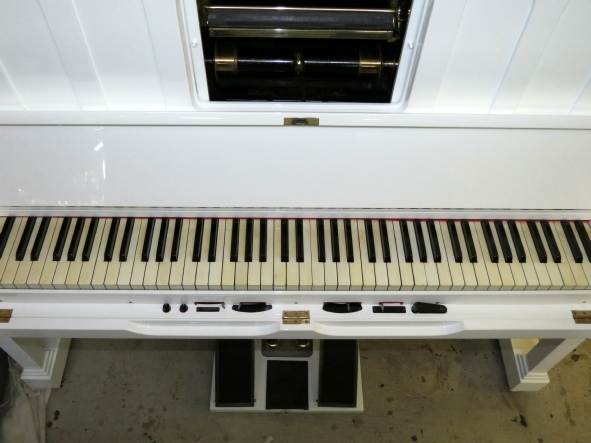 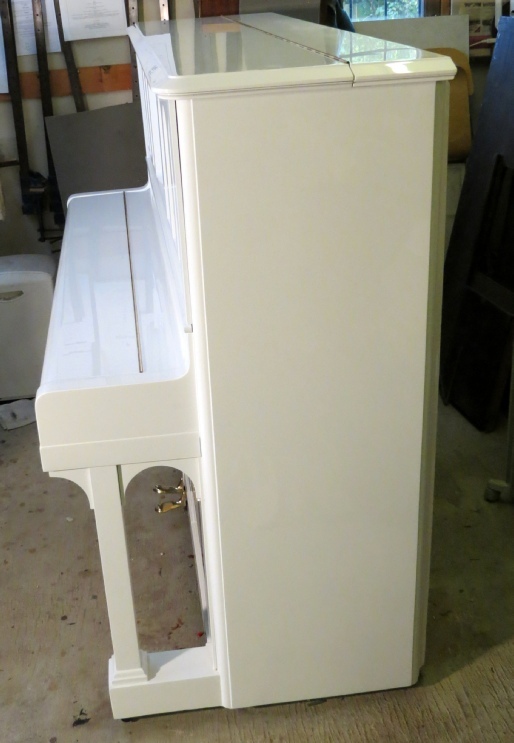 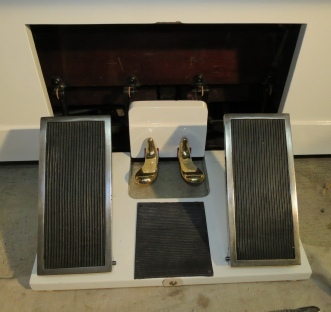 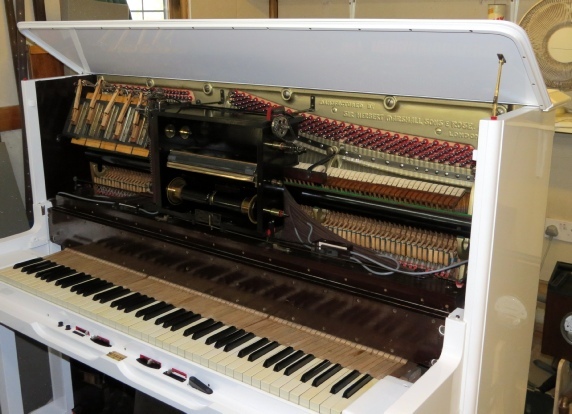 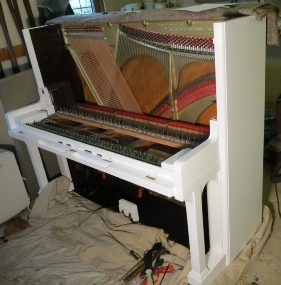 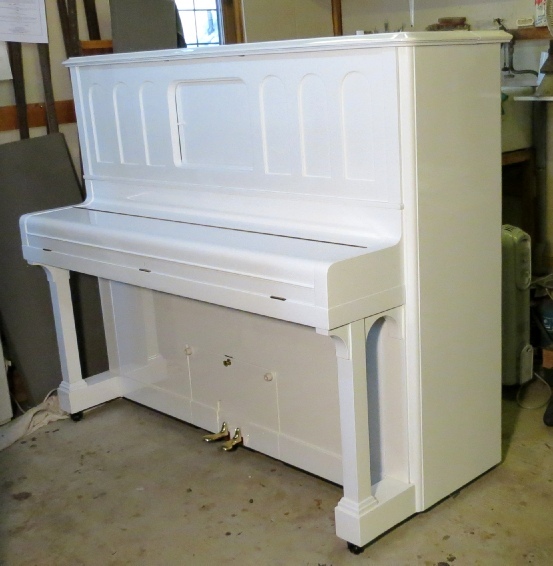 Left and below, the ‘Melodant’ system removed from the piano with the treble restored and bass end still in original condition. 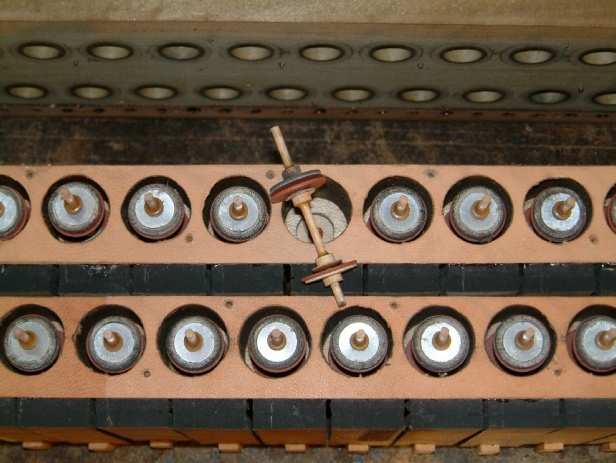 blind covering the unused trackerbar holes. 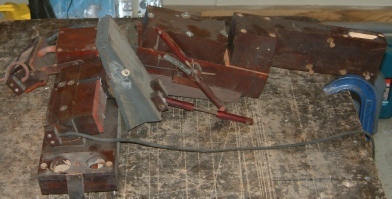 The continuous strip of pouch leather again. 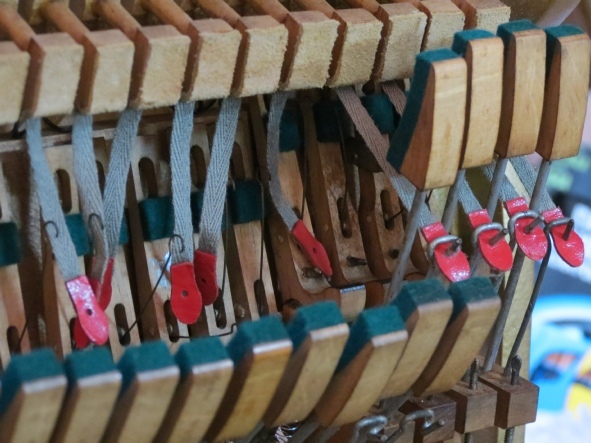 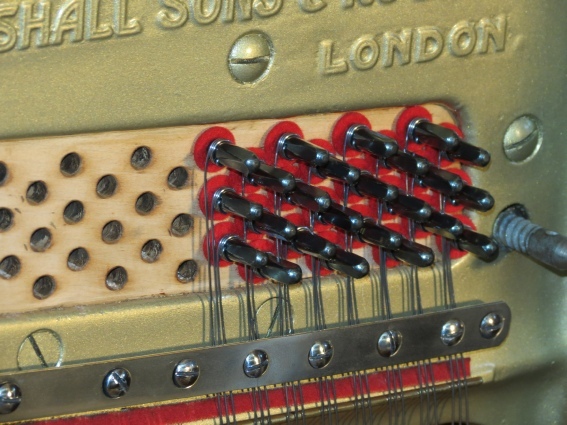 The Schwander piano action has these extra loops and springs running through the jacks for more efficient repetition. 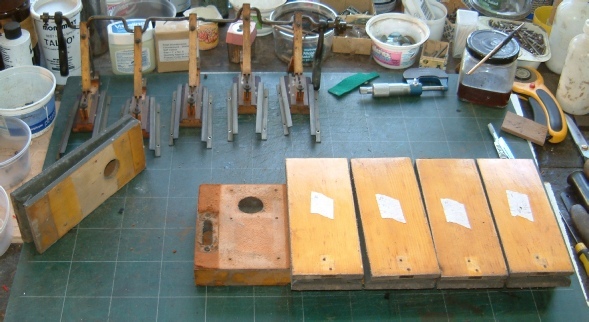 A fiddle to refit, calling for a crochet hook, headtorch and much patience! 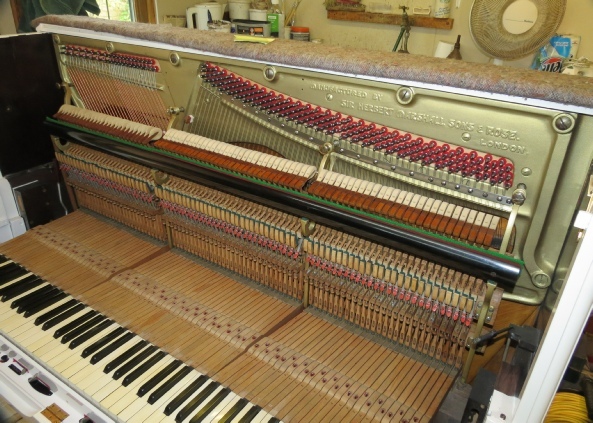 The action and new strings refitted and ready for tuning and regulation. 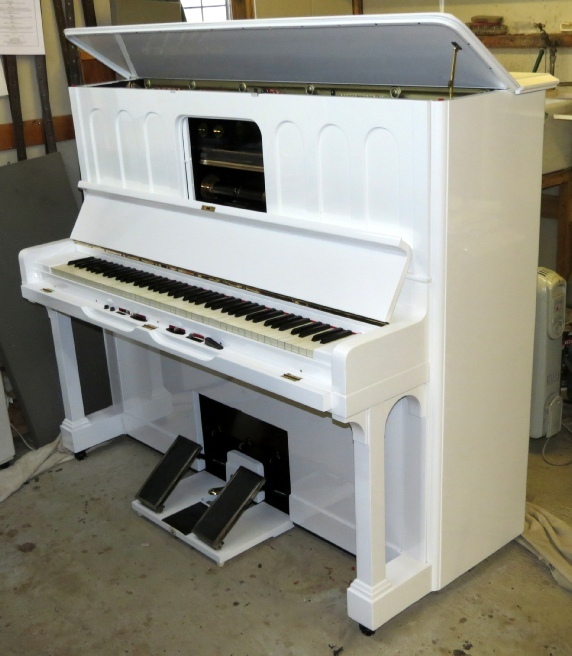 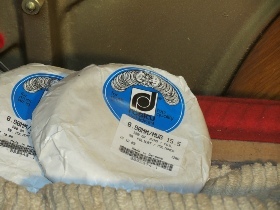 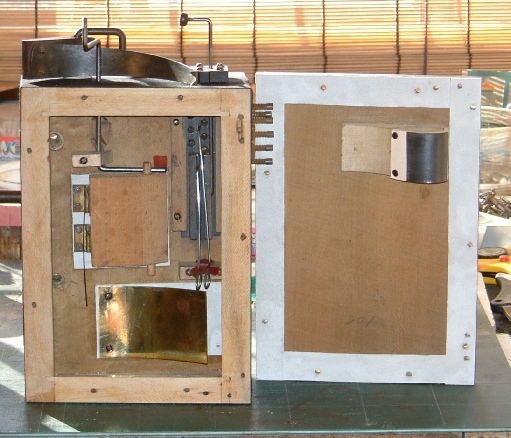 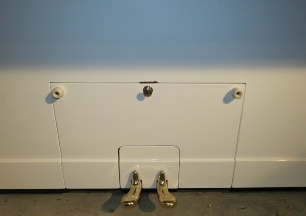 The completed instrument ready for delivery.